Free address labels are customized labels with your name and address along with a decorative photo. These are often given away for free from charities in hopes to spread awareness of their cause. These free address labels can really come in handy and are one of my favorite freebies. They're one of the oldest Internet freebies around but have been increasingly difficult to get. With these tips below, you'll be able to get a ton of free address labels sent to your home. Stash these address labels in your office, car, or entryway to quickly add your return address to anything you're about ready to mail. I don't remember the last time I had to write out my address when mailing a letter or bill. If you're moving, free address labels can really be a lifesaver, and you can get them with your new address on them. You also might need some free moving boxes, change of address cards, or other moving freebies. They're also great to send on wedding invitations and Christmas cards. 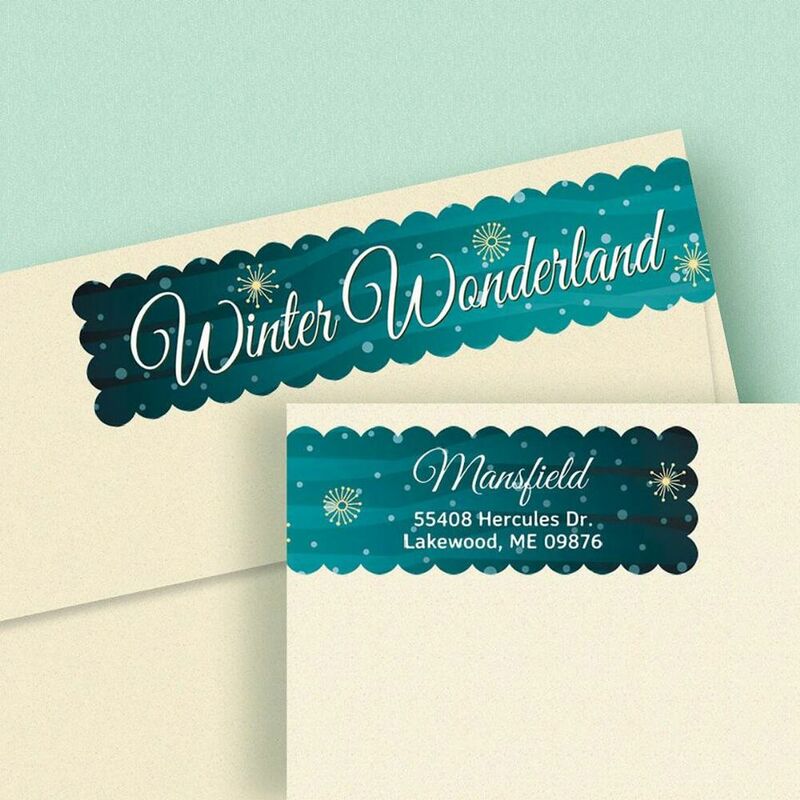 There are a few different ways you can get free address labels to use for your envelopes. Use the links below to find out how to receive free address labels or make your own. One way to get free address labels is through a charity. Some charities will send out free address labels to help increase awareness of their cause or as a small token in hopes to get you to donate to them. If you have a charity that you support be sure to sign up for their print mailing list and you may receive some free address labels from them. Keep in mind that this isn't a guarantee you'll get address labels, but I have had personal luck with both of these charities sending me free address labels on a regular basis. When you fill out the forms to request your free address labels be sure to enter your information exactly how you want it to appear on the address labels. I suggest using the USPS Zip Code Lookup or the Canada Post Lookup to find out exactly what your official address is before entering it. If you can't get your hands on any free address labels, I do have a few ways that you can get them very cheap. Shutterfly: Shutterfly regularly runs promotions and you can get a lot of free stuff, including address labels. You will have to pay for shipping but if you only order address labels it will only set you back a few dollars. Amazon: Amazon has quite a few sellers that will customize return address labels for you. These aren't free but you can get hundreds of custom labels shipped to you for under $10. Another way to get free address labels is by creating your own. Luckily with the use of some free address label templates, this really is a pretty easy job that you can complete in less than 15 minutes. When making your own free address labels it's quickest to use label sheets for your printer but you can also use regular paper or cardstock and adhere them to your envelope.